Developers have listened to our feedback and we now have an official response. Keep in mind that although epic pets aren't going to be in THIS upcoming expansion (Legion), it's always a possibility in a future expansion. Perhaps the idea needs more time to be reworked and then properly introduced so that it doesn't hugely impact the current status quo. Maybe there will be an even better epic pet system waiting for us in the expansions after Legion. There's always room for ideas, and developers have proved that they do take our feedback into consideration. While I feel relieved that epic pets won't be included in Legion (in the manner that they were introduced to us on Alpha -- battlestone upgrades), I'm a little sad to see a new Pet Battle feature get scrapped. Just a teeny-bit heh. But my hope is that devs will come up with a better way for us to collect epic pets, if they feel they absolutely must add it to the game. And in the meantime, I can't wait to see the Pet Battle content in Legion. We've only had just a taste of what's to come. Anyway, lots of love and appreciation for the Pet Battle community. Being able to have a mature and civil conversation about a topic, regardless of differing opinions, is what allows developers to take our thoughts and concerns seriously. Lots of love and appreciate for Blizzard Devs too! They don't have to hear us out, yet they do. We may not always have to agree with their decisions, but it's reassuring to know that they do take feedback into consideration and that all voices are heard. Changes in Legion for a few pet abilities were announced a little over 2 weeks ago. Developers requested feedback on the proposed changes, and now those updated abilities are live on Legion Alpha, just waiting to be tested. Frog Kiss + Sleeping Gas -- Now has a 1-round cooldown. Thunderbolt -- Will now have a 5-Round cooldown, to match the other abilities with similar damage and effect. The last two pet/ability updates haven't gone through, as far as I can tell. Graves' Clobber and Bonestorm remain unchanged (those two slots were supposed to be swapped), and I can't tell if Graves has had an overall stat nerf since Graves is not available and I can't copy over my pet collection onto Alpha. Everything else appears too be updated, or at least the tooltips have been. I have yet to test out the abilities themselves to see if they're indeed changed. I don't have many pets on Alpha, and again, the issue being I can't copy over my collection from live. The pets that I do have don't have any of the nerfed abilities so...will take me a little bit before I can try them out for myself. Anyway, if you're on Alpha and have time to test out how the aforementioned abilities play with the changes, please do! And then leave some constructive feedback on the official thread (linked above). UPDATE: More testing results for a different battle towards the end of this post. Since I was curious about how epic pets would impact PVE battles, I did some testing on Alpha and compared it to results on live. Note that this is a VERY small sample size, on ONE encounter. Process: 7 battles on both Alpha and Live using the same abilities and strat (Sticky Grenade, Toxic Smoke, Missile, Toxic Smoke, and spam Missile until dead). Results: The average number of rounds to defeat Greyhoof on Alpha (using epic pets) was roughly 7. The average number of rounds to defeat Greyhoof on Live (using rare pets) was roughly 8. Other observations: Most battles on Alpha ended with Warbot having ~25% hp or more, and Failsafe was never triggered. On Live, battles usually ended with Warbot having ~25% hp or less, and Failsafe triggered nearly ~50% of the time. During the majority of battles on Alpha, pets were able to last about 1 round longer than pets on Live. For more detailed results, see after the break. Conclusions: While it's still too early to say for sure, and this testing sample size is really tiny, it does appear that epic pets do impact PVE battles somewhat. One round difference between Alpha and Live may not seem like much, and maybe it isn't. But the gameplay definitely feels slightly different. The fact that my epic Warbot NEVER had to trigger Failsafe, while my rare Warbot did about three out of seven battles says quite a bit. That shadow of doom and very real possibility that you will lose isn't as oppressive while using epic pets. A legendary pet doesn't seem quite as formidable when your pets are epic, have large health pools and hit almost as hard as the legendaries do. Am I asking for hit-your-face-against-this-wall type of Pet Battles? No. But part of the fun of a trainer/NPC battle is figuring out how to go about defeating them. Sometimes that involves trial and error and failing. The fear of losing yet determination to overcome the encounter is what makes the battle that much more rewarding when you finally win. On another note, battles take just a little less time on Alpha. Factor this change into all of the Pet Battles we do (trainers, leveling, dailies, PVP, etc.) and it may add up to a lot of time saved if we had epic pets to battle with. All of that being said, I would still have to vote no to having epic pets in our collections in Legion. It doesn't seem worth it to me (lots of effort to upgrade to epic for only a relatively small increase in performance), and it removes the satisfaction of fighting and defeating someone stronger than you. The big baddies are no longer as big or bad, because suddenly your pets are purple too and just as ferocious, if not more. I realize that I'm sort of asking for my cake and wanting to eat it too -- you just can't have a big performance increase while still being David against the Goliath. That is, unless encounter difficulty is raised even higher overall. That could alienate and turn off newer/casual battlers though. This is just my opinion/impression so far. Things could change and I may change my mind depending on those updates. We'll see. Oh boy. New stuff added to Legion Alpha? Yes. New pet: Zoom, new baby falcosauros model, a new Trainer: Amalia and her team of corgi pets: Foof, Lil' Sizzle, Stumpers (tribute to @gloriaboboria). Plus datamined toys for our companions: Flaming Hoop, Leather Pet Bed, Leather Pet Leash. But the biggest and most shocking addition is the ability to upgrade your current pets to epic quality with an Immaculate Battlestone. Currently these new battlestones drop from a new bag sold in Breanni's shop in Dalaran. Each bag costs 200 Pet Charms and drops at least one family-specific epic stone. The price, I hope, is not final. With over 700 pets in-game and at 200 charms per stone, it would cost over ~140,000 Pet Charms to upgrade all pets to epic. Yikes. Plus with the randomness of the bag, what a headache it will be trying to get that last Humanoid stone but all you get is Undead. Someone needs to do the math and figure out how many charms a player would have had they continuously done all of the WoD dailies that reward Pet Charms since the beginning of the expansion. Would it even be close to 140,000? It's not set in stone (hah) yet that these battlestones will get released or that we'll be able to upgrade/collect epic pets. All of this is still undergoing testing and feedback will help developers determine the best course of action. Maybe new content will be in the form of epic pets, maybe it won't. We'll have to wait and see. That said, I have fairly strong feelings of...well, panic when it comes to the possibility of having to upgrade all of my pets to epic. Be it for stat increase or cosmetic purposes, there's a swell of anxiety that I can't suppress. Many of the arguments of why epic pets should not be collectible have already been stated in the official feedback thread, and more eloquently than I could ever compose. So I'll just leave it at that. Honestly, I'm exhausted from thinking/agonizing over this topic and reading through concerns and arguments for and against epic upgrades. I'm not for the idea, no. But if they add it I will most likely be undergoing the grind because I simply love my companions and want them to be the best that they can be. Will I complain? Probably. Will I enjoy it? It's hard to say for sure, but probably not. Getting all of my pets to rare was a tough grind but satisfying at the end. Epic pets would devalue that "end" and while it would give me a new goal/task, it wouldn't feel as rewarding simply because it feels tacked on for the sake of tacking it on. Today Blizzard announced that over $1.7 million was raised for the Make-a-Wish Foundation during Brightpaw's charity sale last December! It's always heartwarming to hear that we, as a community, helped give back to those in need. Our simple love (and obsession) for pets has translated into something so generous and beautiful. Kudos to Blizzard as well! I love reading about the efforts they take to give back to the world. Every year they've released a special store pet, and for a period of time the proceeds from that pet go to a charity of their choice. 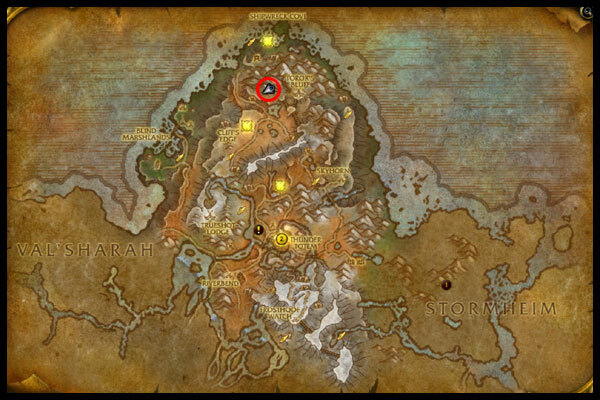 List of discovered Pet Battle Bonus Objectives in Highmountain. Each one is not always up/available. Information from alpha, things are subject to change. 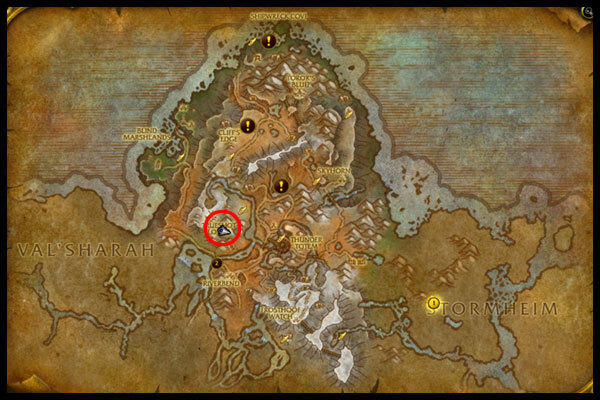 Will update this list as more world quests are found. If you come across any not listed here, please let me know! 5.) Bredda Tenderhide (Training with Bredda) - ??? Legion Alpha: Pet Battle Quests - Bonus Objectives? Not a lot of Pet Battle updates has hit Legion Alpha, so there hasn't been much to pet related stuff to test. Yet. From the list, you'll see that there are 7 daily quests (account-wide) and one weekly (also account-wide). All of these award x4 Pet Charms each. It's probably safe to assume that the daily quests will be trainer battles. Perhaps one per Legion zone? Can't say for sure yet; the trainer icons haven't been added to the in-game map on Alpha yet. As for the weekly quest... I'm wagering that it will be similar to the current weekly Pet Battle quest, Battle Pet Tamers: Warlords. I should mention that that weekly is actually still available in Legion, in new Dalaran no less. It's odd but I think it's just temporary. Maybe the new weekly will replace it as testing continues. The other undefined quests are a little tougher to pinpoint, however one Wowhead comment does provide some insight. 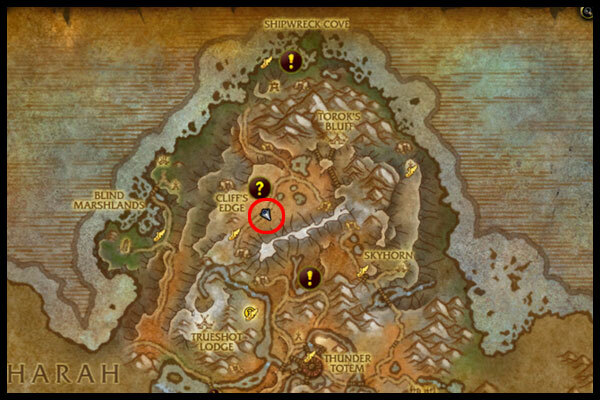 "Mayla Highmountain says: That elderhorn calf is in danger! You have to help it!" 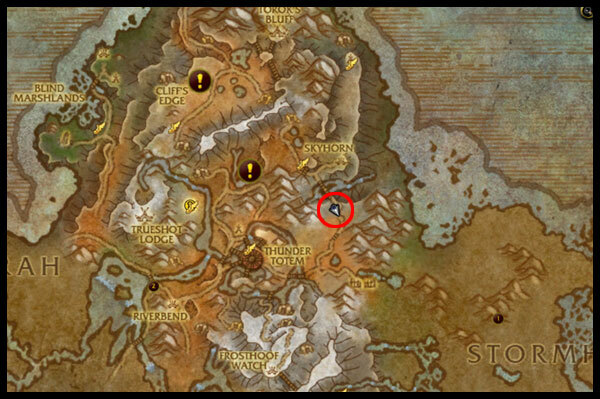 According to the Wowhead comment, Wildlife Protection Force is a bonus objective in Highmountain. There's even video from the commenter of the objective -- completing it involves defeating a level 25 epic quality Hungry Icefang in a Pet Battle. It has 2 additional (random wild pet) teammates. The Hungry Icefang is classified as a boss pet and has the appropriate 'takes reduced damage' buff. What's interesting about this bonus objective Pet Battle is that the NPC is not always present, as mentioned in the Wowhead comment. Yesterday, I traveled to the very spot where it spawns (shown in the user's video) and found that it was not there too. I checked back throughout the day, still didn't find anything. You would think that this would be discouraging, but I had a hunch that this NPC spawn might be a special one. I can't 100% confirm that the Hungry Icefang will only spawn at night, but I plan on checking back every night to test the idea. While I'd love to be able to test the actual battle itself, I still don't have a full team of 25 pets yet on Alpha. Leveling up a pet is currently a pain as there's a nasty bug where your client crashes after completing a battle. So... more waiting! I'm pretty eager to complete this bonus objective though; I'd love to know what the Common Bag of Loot holds. It's the reward for all of the undefined Pet Batttle quests (likely all bonus objectives), but also for other quests not related to Pet Battles. I have to wonder, is its loot table shared among all of the various types of quests? Can I get a pet-related reward from doing some miscellaneous quest elsewhere? Or will the bonus objective determine the loot? It could even just be a placeholder reward too. Edit: Additional questions about Pet Battle bonus objectives - Repeatable? Once per day, per toon? Account-wide? Or only once per toon, ever? Edit #2: Checked at 6pm, 630pm, and 7pm server time. Hungry Icefang wasn't up, which basically tosses a rock at my theory that he has a set spawn time. So the only noticeable pattern is that he doesn't show up during the day, and he only shows up at night. When at night is still up in the air. Edit #3: It's noon and the Hungry Icefang is up. WTFF. There goes the theory that it only spawns at night. At this point I have NO IDEA what the spawn mechanic for this boss pet/bonus objective is. Random is random?!? !